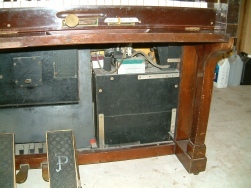 I have a Steck 88 Note Pedal Electric Duo Art similar to that pictured below. Please contact me on 07801 859162 for more details and to arrange a viewing. I will add to this page as and when more instruments become available. 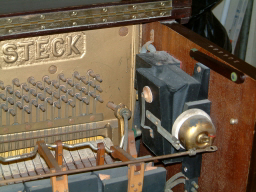 A Steck 88 note Upright Duo Art similar to the above. Player action, motor and piano action have been extensively restored. Wiring and switch gear updated and made safe. 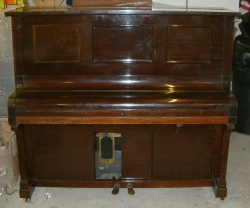 Casework and Piano Action are in good condition. Lovely tone on original strings. Appeared in an art installation at the Talbot Rice Gallery, Edinburgh University. 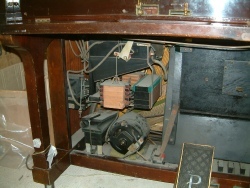 A Steck upright Pedal Electric Duo Art that requires complete restoration of the player and piano actions. 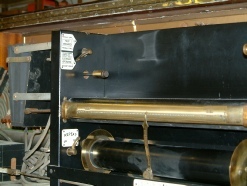 Complete with original Motora pump. 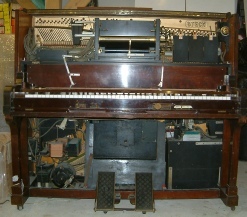 A Hupfeld Ronisch Phonola upright arriving soon I will post pictures and details over the next few days. 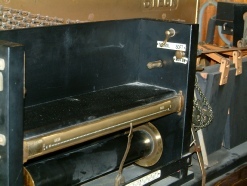 Weber Duo Art, electric turbine type, NO PEDALS, lovely tone and casework is in good condition, player action requires attention. Any conditon considered, I am willing to travel anywhere on the UK mainland to view.